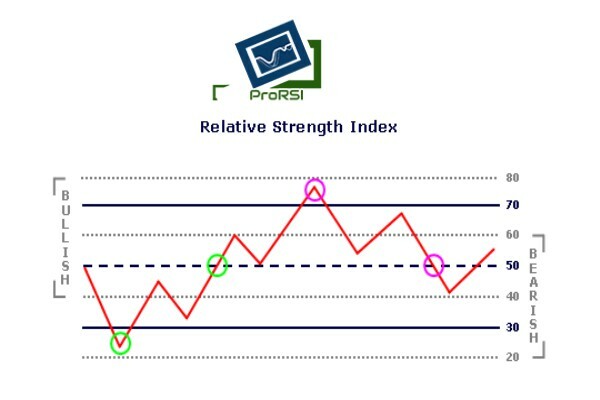 RSI or Relative Strength Index is an extremely popular indicator used in the intra-day market. RSI is a majorly used to measure the velocity and the change of directional price movements in order to give a clear measure of the strength of a trend. It was first developed by J. Welles Wilder, a technical analyst. RSI is the indicator used to identify overbought and oversold conditions of a particular stock in the market. RSI has a range of 0 to 100. While using RSI for trading, readings below 30 indicate oversold market conditions while that above 70 indicate overbought conditions. A trader always analyzes their own stocks keeping in mind the other circumstantial factors and determine the overbought and oversold RSI numbers. This will help investors determine their investment strategy.